In the beginning, God, when You created the heavens and the earth, the earth was a formless void and darkness covered the face of the deep, while a wind from You swept over the face of the water. “Let there be light”; and there was light. And God, You saw that the light was good; and You separated the light from the darkness. You called the light Day, and the darkness You called Night. And there was evening and there was morning, the first day. We take comfort that you are a God of darkness and a God of the night. For people of faith this means that even in the void you are there, perhaps unseen, but there you with us, holy and quiet. We confess that in the face of human struggle we long to see Divine light. For people who live with brain diseases and disorders, the Day and the Night can seem far from your loving presence. Too often shame and stigma associated with mental illness prevent us from asking for the help we need. We are afraid and we feel alone in the dark. 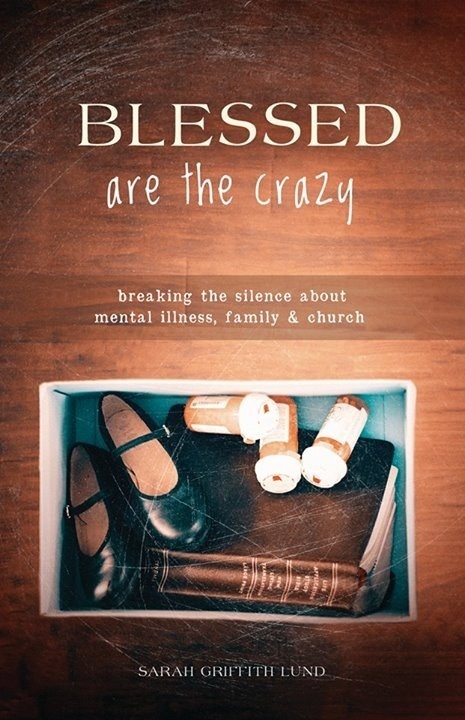 Help us, we pray, to break the silence about mental illness, family and church so that people who suffer from invisible disabilities and their loved ones can get the support we need. For all who feel trapped by darkness and fear that daylight will never come, O Divine Light, grant us hope. For all who question life’s value, meaning and purpose, O Holy Comforter, grant us peace. For all who grieve loved ones whose lives have been lost to suicide, O Father and Mother God, grant us healing. For all who go without medical care and treatment for mental illness, and are behind bars or living on the streets, O Great Redeemer, grant us justice. For all who self medicate through the abuse of alcohol and drugs, whose addictions consume and destroy them, O Holy Sustainer, grant us serenity. For all who suffer from post traumatic stress, moral injury and other emotional, mental and physical difficulties as a result of military service or victims of war, O God of the veterans and trauma survivors, grant us abundant life. For all who live with serious and unpleasant side-effects of medications and whose quality of life feels diminished by the onset of illness, O Holy God, grant us salvation. For our young people whose lives are high stress and high pressure, where depression and anxiety is common, O Christ with us, grant us grace. For the members of the gay, lesbian, bisexual, transgender, and questioning community who are at the highest risk of experiencing life-threatening mental illness and for communities of color where the stigma and shame prevent people from getting help, O God of Diversity, grant us acceptance. For mental healthcare professionals, counsellors, therapists, pastors, psychiatrists, psychologists, neurologists, and brain researchers, O Great Physican, grant us wisdom. For the family members of people with mental disorders, who at times feel both guilty and helpless, both exhausted and afraid, both hopeful and discouraged, O God of Mercy, grant us patience. For the brilliant minds often touched by mental illness, the ones who create masterful works of art, who astound us by their brilliance and confound us by their complexity, O God of Robin Willams and Vincent Van Gogh, O God of Virginia Woolf and of Kurt Cobain, grant us joy. For the spiritual Mystics of the past like Julian of Norwich who listened to that still small voice and for post modern Mystics today like me, O Divine Lover, grant us vision. From the first day of creation to the last day of our lives, grant us generous amounts of courage and compassion so that we may truly be the beloved community…a people of love and justice, a people of radical welcome and inclusion. Help us all to know, to trust and to believe that no matter how we are created, no matter what our struggles or disabilities or differences, that You see us just as we are and that you proclaim that we are good. And may we enjoy this goodness together, night and day. Guide our thoughts, words and actions to witness to your great faithfulness. Help us to rise up out of the long night of the soul and walk into the morning light, where we will discover new mercies.